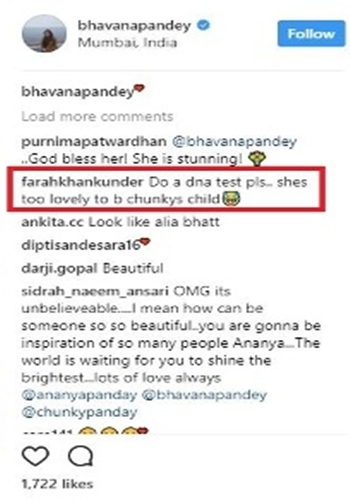 When actor Chunky Pandey’s wife, Bhavana shared a picture of their daughter, Ananya Pandey on Instagram, little did she know that Filmmaker and renowned choreographer Farah Khan would notice the girl’s beauty and target a jibe at Chunky’s looks while expressing her disbelief at Ananya’s lineage. 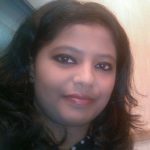 Ananya’s charming smile, big and beautiful eyes and her striking pose with open, wavy hair that had already garnered much likes and comments on the social media network had allegedly provoked Khan to make this innocuous-seeming fun comment that gave away her goofy sense of humour and subtle sarcasm. Ananya who is already a recognized face in the social media is all set to be the Bollywood debutante at Le Bal des Débutantes, the fashion event that gathers together 20 to 25 girls from different countries of the world. She will be the Indian face at the international event along with Princess Gauravi Kumari of Jaipur and has already been spotted at high-profile events like the Lakme Fashion Week 2017 along with Shah Rukh Khan’s daughter, Suhana Khan. 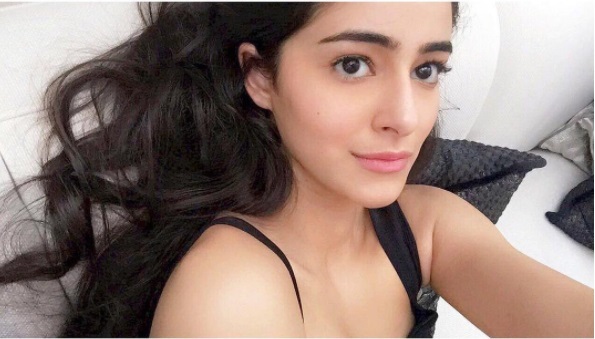 Off late, Sara Ali Khan, Jhanvi Kapoor, Karan Deol among others are prepping up for their big Bollywood debut releases as star kids who have already garnered some fame and attention online. 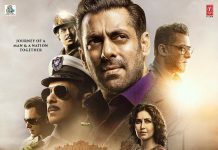 While speculations are ripe that Salman Khan who has been associated with grooming several newcomers in the Hindi film industry will mentor Ananya too, the latter’s Instagram pictures and her big debut conjectures are already creating a hype among netizens and movie buffs alike. 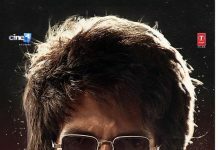 Going by the rumours abound, she might debut with Karan Johar’s Student of the Year 2. Her oft-viral photos, comments that compare her looks to that of Alia Bhatt and now Farah Khan’s indirect praise for the beautiful lass has surely reinstated Ananya’s foothold in the B-town, albeit her yet-to-be made presence in Hindi films. Though reports state Farah is thick in friendship with the Panday family and is often seen at events and parties hosted at their house, it is yet to be ascertained if her comment will be taken sportingly as a friendly jibe or if it will be considered a distasteful statement. 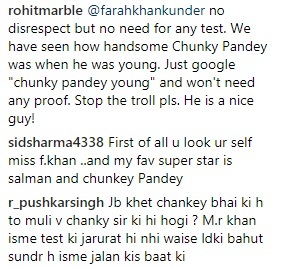 Some fans, however, retorted to Farah’s comment writing that Chunky Pandey was handsome when he was young and she should stop trolling him.